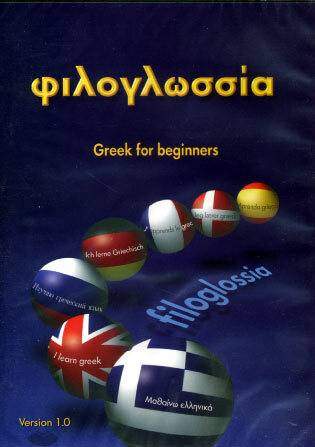 "Filoglossia" is a multimedia program for learning Greek as a foreign language and is addressed to beginners. It combines video and audio files with native speakers and offers supporting material in six languages: English, French, German, Spanish, Danish and Russian. The programme is mainly based on the communicative approach and focuses on the production and comprehension of both oral and written speech. The user is encouraged to use Greek in order to acquire communicative efficiency and be able to communicate in everyday life situations. Basic grammatical and syntactic phenomena are also treated, however in a simple and functional way.